Book cabin in advance for next year. See information for laws on state website for Michigan. 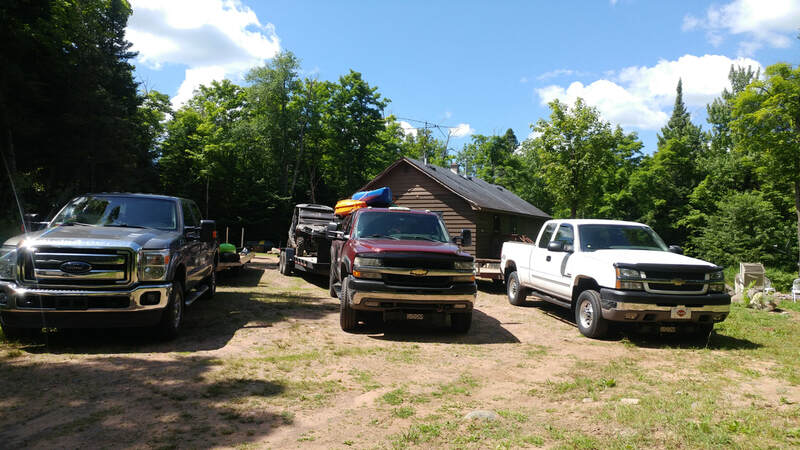 The Michigan DNR invites residents and out-of-state visitors to ride authorized, designated routes and trails on these weekends. 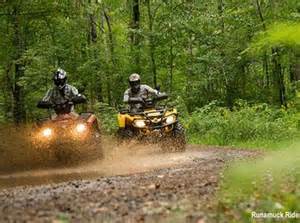 ATV ORV enthusiasts will not need to possess an ORV license or trail permit on these dates. Many Areas to Go ORVING! 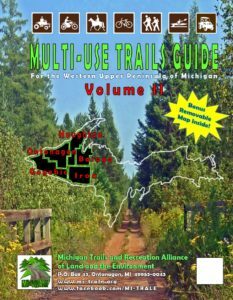 The MI-TRALE booklet shows a variety of trails, scenic areas, and more. Many local people worked many hours on this booklet, organizing the association and helping all of us enjoy and be safer on the trails. The MI-TRALE book is for sale at local businesses. Shows trails for ORVing (ATVing, fourwheeling, etc. ), canoe and kayak routes, scenic trails, trail ideas and more. ROGERS BAR: Every year Rogers Bar (which is down the road from the cabin) or Dutch's Bar (Marenisco, west of cabin) has a Poker Run or ATV Run. Look for times in the Spring and or the Fall. A listed Fall Ride for 2017 is September 30, 2017. 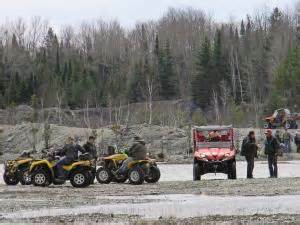 ​HURLEY: And, then also there is a Poker Run West of the cabin in Hurley. That one is in May generally. 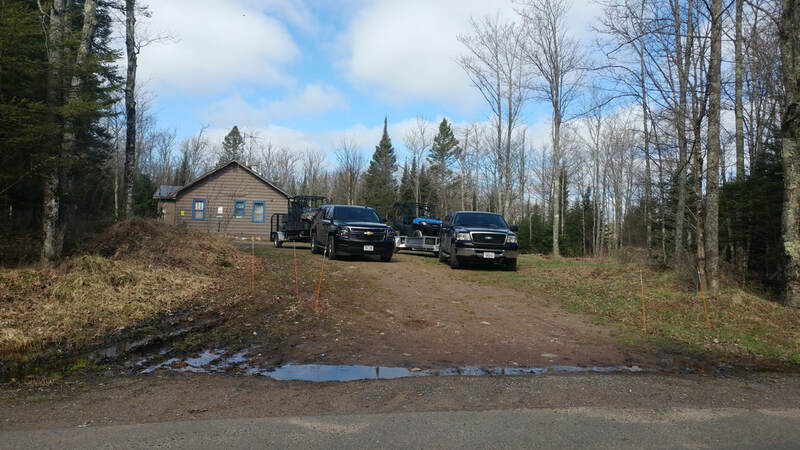 Either ATV ORV to the Poker Run or trailer them. Then return to the cabin to relax after a days riding, warm shower, relax, etc.